Following bargaining between B.C.’s Columbia Valley Credit Union and the USW union local, the two parties have reached an impasse. After meeting with the membership in Golden, B.C., a 100 per cent strike vote was returned in an overwhelming mandate to the union local. The issues at stake include wages and benefit parity with credit unions in the Kootenay/Columbia region, along with improved vacation flexibility and inclusion in the BC Central One Pension Plan. The union’s bargaining committee is weighing their options. These include serving 72-hour strike notice and participating in mediation with a BC Labour Relations Board-appointed mediator. Otter Co-op CEO Jack Nicholson has been named Business in Vancouver’s CEO of the year in the large-company category. The key to being a great leader, he said in an interview, is to be supportive of staff and to have an open-door policy. He is aware that many people think that the CEO has to be the brains behind key corporate initiatives. But he does not necessarily agree. Otter Co-op, which is based in Aldergrove in the Fraser Valley, has 17 stores in B.C. Founded in 1922, the co-op now has more than 32,000 active members. Carshare provider Modo Co-op and Coastal Community Credit Union will soon share more than co-operative principles. The two co-ops are launching a partnership which will benefit members of both organizations while building support for more sustainable, multi-modal transportation options on Vancouver Island. Coastal Community said it is excited to join as a Business Member. Modo serves Vancouver Island with 75 shared vehicles in Greater Victoria and Nanaimo. To make carsharing even more accessible and affordable, the credit union is offering Coastal Community members a 50 percent subsidy on the $500 refundable share-deposit required to join Modo as a share-holding member, plus free $50 of drive time. There is also an option to join as a Monthly Member, without the requirements of a share-deposit. 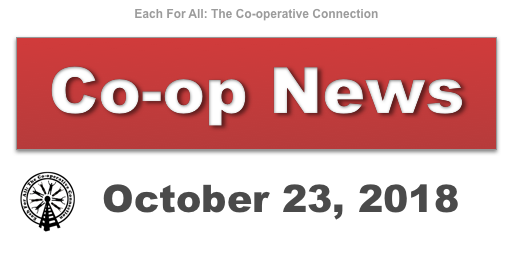 Co-op News for April 2, 2019. 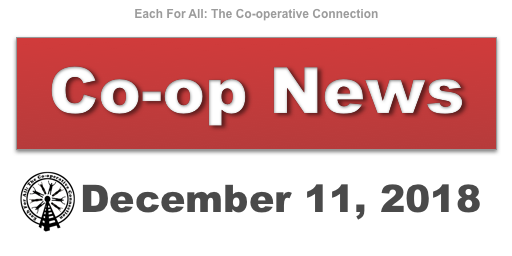 Sandy Goldman on Top Co-op Issues 2019 – Is the social economy overtaking the co-op model? John Richmond on Top Co-op Issues 2019 – Is the social economy overtaking the co-op model? This work is licensed under a Creative Commons Attribution-NonCommercial-NoDerivatives 4.0 International License Please contact us for other usage permission.